It goes without saying, Nickelodeon’s hit show, Henry Danger is one of our favorite shows ever. Each of the spectacular episodes are always filled with so much fun, excitement and a whole lot of adventures and the cast and the genius creator, Dan Schneider have brought out such a phenomenal, masterpiece of a show. There is no wonder as to why Henry Danger is the number one kids’ show and it recently got picked up for another exceptional season. 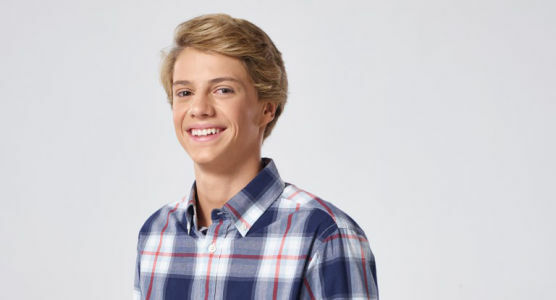 Now, as we get to look forward to new episodes from season three and another fourth season coming our way, Henry Danger fans have even more to look forward to with this excellent news revealed by Nickelodeon. Nickelodeon announced at its annual Upfront Presentation in New York City on March 2, 2017 that the network will be releasing a Henry Danger inspired animated show with a working title of The Adventures of Kid Danger and Captain Man. All of the cast-members including Jace Norman, Cooper Barnes, Riele Downs, Ella Anderson, Sean Ryan Fox, Michael D. Cohen, and Jeffrey Nicholas Brown will continue to take on the roles of their characters, this time through voice acting. It’s incredible to see how Nickelodeon is taking in fans’ feedback and giving them even more of what they love. Nickelodeon continues to show how it can work with any platform and even turn a live-action show into an animated series and do such a brilliant and sensational job. Henry Danger is truly a show that has captured the hearts of fans worldwide so we’re so thrilled to see its transition into an animated series. Until then, we can’t wait for more episodes from the live-action show. Here at Alexisjoyvipaccess.com, I’d like to send a big congratulations to the cast of Henry Danger on this magnificent, new project and animated show. Comment below and tell me or tweet me at @alexisjoyvipacc, are you excited to see The Adventures of Kid Danger and Captain Man? Previous Article: Vote For Your Fave Artists At The 2017 MTV Woodies Using Snapchat! See The Nominees Here! Next Article: Season 5 Of “Tales Of The Teenage Mutant Ninja Turtles” Premieres 3/19 PLUS Get The Deets About A New TMNT Show!